Across the country there is renewed interest in growing apprenticeship programs for youth and adult learners. By integrating classroom instruction and hands-on learning, apprenticeships can serve as a meaningful part of a Career Technical Education (CTE) program of study, enhance the educational experience and better prepare learners for future career success. 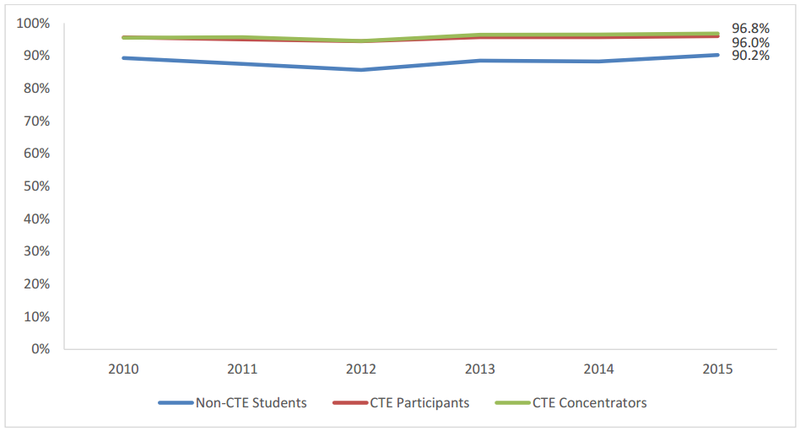 In June 2017, Advance CTE, in partnership with JFF, Vivayic and RTI International was contracted by the U.S. Department of Education to explore ways in which secondary CTE students could be better connected to apprenticeship programs. As a result, Advance CTE published a report that profiled eight secondary apprenticeship programs to identify strategies to connect CTE with apprenticeship programs. The report highlights major takeaways as well as recommendations for program design, effectiveness, student-parent engagement and communications, financing, equity and access. Last month, we expanded our commitment to youth apprenticeship programs by joining the Partnership to Advance Youth Apprenticeship Initiative (PAYA), along with CareerWise Colorado, Charleston Regional Youth Apprenticeships, Education Strategy Group, JFF, the National Alliance for Partnerships in Equity, the National Fund for Workforce Solutions, the National Governors Association and New America. Over the next four years, PAYA will support efforts in states and cities to expand access to high-quality apprenticeship opportunities for high school age youth. PAYA will convene experts and partners, support a community of practitioners, publish research and provide grants and direct assistance to promising youth apprenticeship programs in cities and states across the U.S. We join our PAYA partners in thanking the funders of this initiative – Annie E. Casey Foundation, the Ballmer Group, Bloomberg Philanthropies, the Joyce Foundation, JP Morgan Chase & Co. and the Siemens Foundation. Building on innovative state and local practice. At a roundtable discussion hosted by the Apprenticeship Forward Collaborative, Advance CTE’s Deputy Executive Director Kate Blosveren Kreamer emphasized that our economy supports the continued skill attainment that apprenticeships provide. 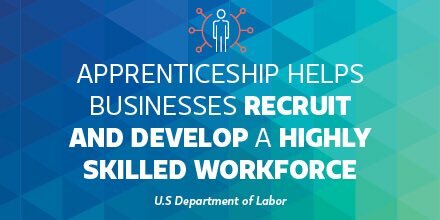 We are excited to continue learning about – and advocating for -impactful apprenticeship opportunities! In conjunction with the release of eight new recommendations regarding the connections between higher education and apprenticeships, New America’s Center on Education and Skills (CESNA) conducted an in-depth discussion on the topic with national experts and state and local practitioners. Then began the first of two panels, which featured state-level practitioners from Indiana and Washington, as well as national experts on apprentice programs. Eleni Papadakis, Executive Director at the Washington Workforce Training and Education Coordinating Board, expanded on the work her state has been doing to connect postsecondary programs and apprenticeships in order to build a system that promotes lifelong learning and development. The panel also discussed how most apprenticeships are traditionally in construction fields, and their efforts to expand the role of apprenticeships in other fields, most notably health care. The topic of equity also featured heavily in this discussion, particularly since apprenticeships tend to be mostly male, and more women are enrolled in postsecondary programs than males. The second panel featured three women working at the local level in designing and administering apprenticeships in health care and early childhood education. Keisha Powell, Workforce Development Consultant at Fairview Health Services, Carol Austin, Executive Director at the Delaware Valley Association for the Education of Young Children and Ta’Mora Jackson, Early Childhood Education Coordinator at District 1199C Training & Upgrading Fund spoke about their work on the ground in Minnesota and Pennsylvania. In both industries, having a postsecondary credential is often necessary for employment but not enough to immediately begin work without on-the-job training. Without a structured apprenticeship or similar experience, on-the-job training is likely inconsistent and uncoordinated. These panelists also focused on the other supports that “student-apprentices” would require for success, including bridge courses and advising. The prospect of “Degree Apprenticeships” is certainly a promising one for connecting these disparate worlds in a way that maximizes the efforts of both. This post was written by John Cech, Ph.D., Deputy Commissioner – Academic & Student Affairs, Montana University System. On Thursday, June 15, 2017, I joined President Donald Trump and 20 people at the White House for a “Workforce of Tomorrow” meeting to discuss strategies for preparing more Americans to fill nearly six million vacant or soon-to-be-vacant careers. The White House singled out 10 states as “exemplars,” which are creating new educational and apprenticeship opportunities for our citizens. I am proud to say Montana was one of the 11 states to receive an invitation from the White House and I was honored to represent Governor Bullock and our great state at this meeting. The meeting was facilitated by Ivanka Trump, Adviser to the President and included: Secretary Alex Acosta, Department of Labor; Secretary Wilbur Ross, Department of Commerce; several key White House staff; seven Governors; and representatives of three additional governors. The President invited the Governors and participants to share some of the best practices and success stories from their states. In a ceremony in the Roosevelt Room, President Trump signed an executive order nearly doubling taxpayer money spent on learn-and-earn programs under the grant system, ApprenticeshipUSA. The money, totaling $200 million, would come from existing job training programs. Why is this work important? States across the nation are facing serious workforce challenges. In Montana, for example, our population is aging and estimates are that a quarter of the workforce are going to retire in the next ten years. This, coupled with our strong economy and low unemployment (3.8%), poses significant complications for industries to find the skilled labor needed for 21st century jobs. This work has particularly impacted Montana’s rural and frontier communities with apprenticeship opportunities for fields in in-demand, living-wage industries, in some of Montana’s most remote areas, through innovative and thoughtful programming. For example, MSU-Billings City College has partnered with a rural fire department employer in Miles City to develop the very first paramedicine apprenticeship program in MT. Cutting edge technology is used to ensure all learners have access to this program. IPad Robots (i.e. MedBots) enable EMT professionals at the rural fire department to complete MSUB City College paramedic coursework, as well participate in labs through real-time class discussions, small group breakouts and medical simulations with fellow students in the Billings-based classroom. Montana is also working with our Office of Public Instruction to develop new statewide pathways for high school students interested starting early with their career development. These new pathways include opportunities for dual credit, work-based learning, and pre-apprenticeships. Our efforts are informed through concrete data including employment projections and wage and income records to ensure that we’re supplying the talent pipeline to high-demand careers with skilled employees from across the state. While federal funding is a critical catalyst for identifying and developing work-based learning strategies, Montana is a fantastic example of how states can leverage these funds with state and private resources to create a new paradigm for workforce training. I believe our successful partnerships and statewide collaborative efforts are what captured the attention of the White House this past week, and I was honored to share our many accomplishments. Yesterday the U.S. Department of Education (USDE) announced the 52nd class of U.S. Presidential Scholars that, for the first time since the programâ€™s inception, now counts Career Technical Education (CTE) students among the nationâ€™s highest achievers. â€œWe’ve added 20 more slots to honor our highest achieving students in career and technical education, reflecting the Department’s belief that a quality education must be a well-rounded education that prepares students for college, careers and any other civic service,â€ USDE Secretary John King said in a statement yesterday. As we have shared previously, President Obama signed Executive Order 11155 last Juneâ€” a move that expanded the existing Presidential Scholars program to include up to 20 CTE students as part of the program. Created in 1964 by President Lyndon Johnson, the U.S. Presidential Scholars program identifies the nationâ€™s highest-achieving students and honors them at an annual award ceremony in D.C. Advance CTE applauded the CTE expansion of this program and will continue to urge policymakers to raise the profile of CTE through efforts and initiatives such as this. More info can be found here and a full list of Presidential scholars can be found here. Since the passage of the Every Student Succeeds Act (ESSA)â€” a law that replaced No Child Left Behind and reauthorized the Elementary and Secondary Education Actâ€” states, districts, USDE, and other stakeholders have been busy figuring out the best way forward for implementing the new law. While the defining theme of ESSA has been a devolution of policymaking authority from the federal level to the jurisdictions of states and local districts, USDE is still responsible for facilitating the development of a limited set of regulations to assist in the lawâ€™s ongoing roll-out. Known as â€œnegotiated rulemakingâ€, this is a collaborative process by which a panel of stakeholders and USDE negotiate the terms of specific regulations required for ESSA implementation. The panel was tasked with coming to consensus on issues affecting student assessments and the lawâ€™s â€œsupplement, not supplantâ€ requirementâ€” a provision that requires that federal funds from ESSA not take the place of existing state and local spending, but rather supplement those efforts. The panel was able to reach consensus on the issues related to assessment, but unfortunately not on supplement, not supplant rules. As a result, USDE will now write its own regulations on this issue setting up a likely fight with Congressional Republicans who have been vocally opposed to USDEâ€™s proposals for the rule to date. Before publishing these rules for public comment, ESSA requires a fifteen day Congressional review period where these disagreements will likely be highlighted further. Separate from the formal rulemaking process, USDE is also planning to develop non-regulatory guidance to further assist states, districts, and other stakeholders in implementing the new law. Although ESSA makes clear that such guidance cannot be â€œlegally bindingâ€, USDE hopes that this guidance can help the public understand the law better, provide a window into how the department interprets ESSA, and to provide examples of best practices to support implementation. The department is asking for input from the field on what topics this guidance should cover and recommendations can be submitted to essa.guidance@ed.gov. Comments must be submitted by May 25, 2016. Advance CTE will continue to monitor and engage with implementation of ESSA in the coming year. A helpful timeline for that process can be found here. On April 25, Vice President Joe Biden announced a plan to expand upon their Americaâ€™s College Promise initiative with a $100 million competitive grant. The effort, which President Obama first proposed during his 2015 State of the Union address, aims to provide two years of free community college to eligible students — an ambition that has already spurred some 27 free community college programs across 15 states. Details about the timing and process for awarding grants are forthcoming, though the White House did release a fact sheet with information about its investments in postsecondary education and its wider skills agenda. Separately, the U.S. Department of Labor (USDOL) announced that it is now accepting applications for ApprenticeshipUSA, a $90 million grant competition to increase â€œjob-drivenâ€ apprenticeships in the U.S. The first competition, which closes on May 15, makes available $9.5 million for State Accelerator Grants — state-level grants to expand access to and diversify participation in Registered Apprenticeships. States wishing to apply for an Accelerator Grant can find information such as the timeline and process for awarding grants here. USDOL plans to make an additional $50 million available to states later this spring and will invest the remaining $30 million to help employers launch and grow apprenticeship programs. Recently, USDE circulated a â€œDear Colleagueâ€ letter outlining various available funding streams that can be leveraged to support STEM education. The letter was sent to states, districts, schools, and other stakeholders and references the several permissible used of funds within the Carl D. Perkins Act (Perkins) that can be used to support STEM education. USDE also released a guidance letter that further clarifies its position on higher education accreditation following an executive action by President Obama last November that sought to improve upon current accreditation practices. The letter encourages accreditors to use standards that are based on student outcomes such as graduation, retention, and employment rates. USDE announced the second round of its â€œPerformance Pilot Partnershipsâ€ (P3), an initiative that waives certain requirements for some federal programs, such as the Perkins Act, to allow entities to braid funding and test innovative strategies targeted at disconnected youth. State and local governments, along with other stakeholders, are encouraged to express their intent to apply by May 26, 2016 and applications are due June 27, 2016. The full application announcement can be found here and USDE plans an informational webinar May 9th. In partnership with the U.S. Department of Justice, USDE announced $5.7 million in new grants aimed at providing CTE programs, reentry services, and training opportunities for students involved in the criminal justice system. USDE has also released a new toolkit for educators to support successful reentry of these students. Earlier this year, the Obama Administration announced its intention to create a college ratings system where postsecondary institutions would be sorted into three broad categories of high, medium, and low performing schools. Many stakeholder groups, including NASDCTEc, provided feedback on this proposal to the U.S. Department of Education (ED) and many groups had significant reservations about the newly proposed effort. After taking these comments into consideration, ED announced earlier this summer that they would change direction with this initiative and create a new public-facing information tool that would make institution specific information available to consumers to make more informed choices about their postsecondary education options without making a value judgement. Last week, the Department released this tool, known as the College Scorecard which is now available on their website. The tool offers information on an institutionâ€™s costs, graduation rates, the percentage of students receiving federal aid, and significantly, the median earnings of graduates 10 years after completion. Most of this information comes with caveatsâ€”as a related technical paper from ED notes, the earnings information only covers those students receiving federal grants or loans, includes graduates and non-completers alike, and excludes currently enrolled students. More detailed information on the scorecard can be found via the Workforce Data Quality Campaign of which NASDCTEc is a national partner. While the scorecard is a significant step in the right direction, more can still be done to improve upon this work such as refocusing the effort to look at program-level data where it would be far more useful to students and their families. In the coming weeks, NASDCTEc plans to work with its partners to provide comment on the scorecard and will continue to think through ways in which the tool could be improved. Another big development happened last Wednesday when President Obama and Dr. Jill Biden announced the 46 grantees for this yearâ€™s U.S. Department of Laborâ€™s (DOL) American Apprenticeship grant program (AAG). Using Macomb Community College in Michigan as a backdrop for the announcement, this $175 million investment is part of the Admisntrationâ€™s wider effort to double the number of apprenticeships in the countryâ€”a realistic goal considering the U.S. lags behind nearly every other advanced country when it comes to participation in apprenticeships. While this is the second year for the AAG program, the Admisntrationâ€™s move to increase the amount of funding available by an additional $75 million underscores their strong commitment to what theyâ€™ve dubbed the â€œearn and learnâ€ model for the coming years. The grantees plan to create training opportunities for 34,000 apprenticeships at these 46 public-private partnerships, mostly in areas such as advanced manufacturing, healthcare, and information technology while scaling up many existing programs in construction, transportation, and energy over the next few years. Many of the grantees plan to develop or build upon existing state or local career pathways, sector partnerships, and the Registered Apprenticeship College Consortium initiative that have boosted activity in this area throughout the country in recent years. For instance, the Illinois Advance Apprenticeship Consortium grant, which will receive $3.9 million in grant funding, plans to create 600 new apprenticeship positions that link to the stateâ€™s career pathway initiative, in order to create new on and off ramps for students to pursue these opportunities. NASDCTEc applauds the Admisntrationâ€™s commitment to investing in the nationâ€™s workforce and looks forward to the work that lies ahead as these grants start to reap benefits for students across the country. More information on the announcement can be found here and here. Apprenticeships were only half of the conversation when President Obama and Dr. Jill Biden spoke at Macomb Community College last week. The President has continued to advocate for his Americaâ€™s College Promise proposal which would make the first two years of college tuition free for qualifying students. As part of that effort, the President has announced the creation of an independent advisory board for this effort, chaired by Dr. Jill Biden and former Wyoming Governor Jim Geringer, to convene like-minded postsecondary leaders, share best practices and models for the effortâ€™s expansion, and to serve as recruiting tool to get more individuals involved in the work to expand the initiative throughout states and local communities. A full list of the board members is located here. To that end, one of the core functions of this new board will be to spearhead a public awareness and grassroots campaign called â€œHeads Up Americaâ€. The goal of this effort is to spread awareness about community colleges and to create a nationwide movement to support the Presidentâ€™s call for lawmakers to take action on his Americaâ€™s College Promise proposal. More information on this effort can be found here. With the Fiscal Year 2016 funding deadline on September 30th fast approaching, lawmakers are currently working to avoid a government shutdown over Republican opposition to any funding measure that contains support for Planned Parenthood. While no deal has been reached as of today, the likelihood of a temporary stop-gap spending measure, known as a Continuing Resolution or CR, is growing increasingly likely. NASDCTEc will provide further information about that process next week. 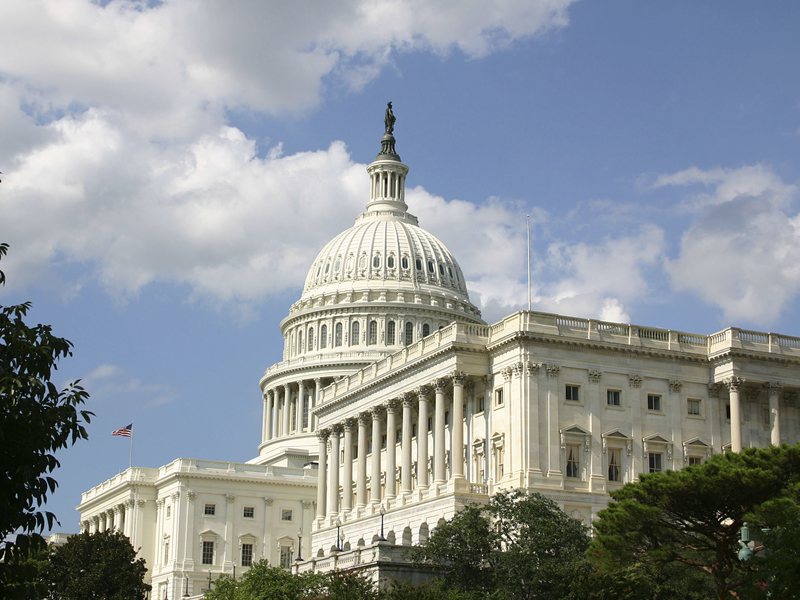 The Workforce Data Quality Campaign hosted a Congressional briefing on the need to more effectively leverage education and workforce data to improve education and employment outcomes for students. The briefing also examined ways in which data systems could be improved, from local, state, and federal perspectives. More information on the event can be found here. Chairman John Kline (R-MN) of the House Education and Workforce Committee recently announced that he will not seek reelection in 2016. While he will remain Chair of the Committee through next year, his likely replacement still remains uncertain, but includes among others, Reps. Virginia Foxx (R-NC) and Joe Wilson (R-SC). The U.S. Secretaries of Labor and Education recently wrote an Op-Ed piece for the Philadelphia Inquirer calling for a renewed focus on improving the K-12 education experience. The piece highlights IBMâ€™s P-Tech model as one way to improve student learning and outcomes. More here.